On Tuesday, with the Pakistani Taliban's terror attack on a Pakistani school that killed 141 people — 132 of whom were children — the decades-old terrorist organization forced itself back into our radar with ferocious brutality. In the past eighteen months, ISIS has dominated the headlines with the unprecedented, public brutality of its members — but the attack in Peshawar reminded us that while ISIS brought terror to a whole new level, other long-standing terrorist groups also carry out acts of monstrosity whose victims deserve equal attention and concern. The TTP is ready for a long, long war against the U.S. puppet state of Pakistan... The parents of the army school are army soldiers and they are behind the massive killing of our kids and indiscriminate bombing in North and South Waziristan. To hurt them at their safe haven and homes—such an attack is perfect revenge. North and South Waziristan are TTP strongholds. Tuesday's killing took the lives of over a hundred children and led to an outpour of grief and fierce condemnation, both by prominent figures and on Twitter, under the hashtag #PrayforPeshawar. But the Taliban carries out attacks like these — though none quite so deadly — with frequency. Afghanistan has seen a string of suicide bombings by the Taliban in the past year that included an attack on a British convoy and a street that housed various embassies and foreign compounds. In September last year, Islamist militant groups that have ties to the TTP carried out the deadliest attack on Pakistani Christians with a suicide blast that killed at least 80 people at a church in Peshawar. The Taliban was also responsible for shooting Malala Yousafzai, then 15-years-old, in the head — almost killing her if not for her miraculous recovery — for advocating education for girls. With ISIS on the forefront of our minds, you might not have heard of these attacks, save for Malala's — or if you did, like me, you probably didn't pay it too much attention. 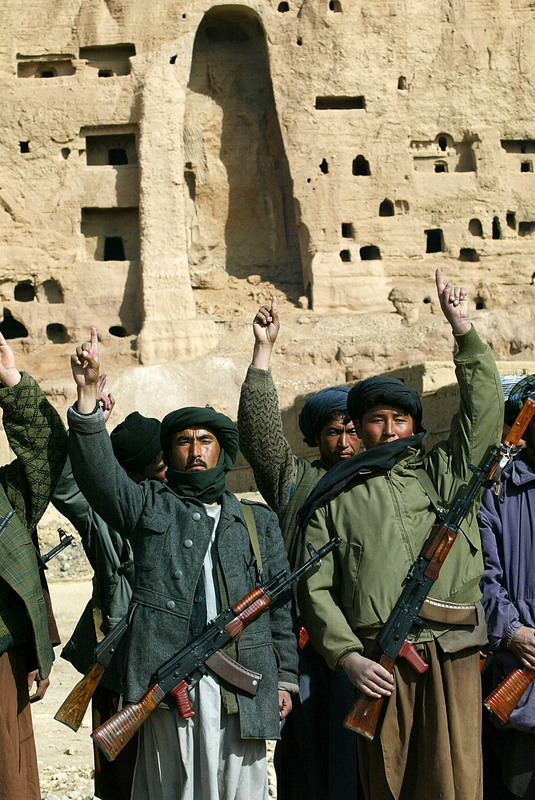 Although the Taliban and Al Qaeda might seem less relevant now — or at least, less violent in comparison — it's crucial that we don't brush them, or their actions, off. That there is a more horrifying force out there does not disregard the fact that such terror groups also execute barbaric measures to get what they want, most often at the expense of innocent people. What about our kids and children? These are the kids of the U.S.-backed Pakistani army and they should stop their parents from bombing our families and children. Those kids are innocent because they are wearing a suit and tie and Western shirts? But our kids wearing Islamic salwar kamiz [a traditional Islamic outfit] do not come before the eyes of the media and the West.